The search for the perfect brownie is like the search for the perfect chocolate chip cookie. It’s neverending! 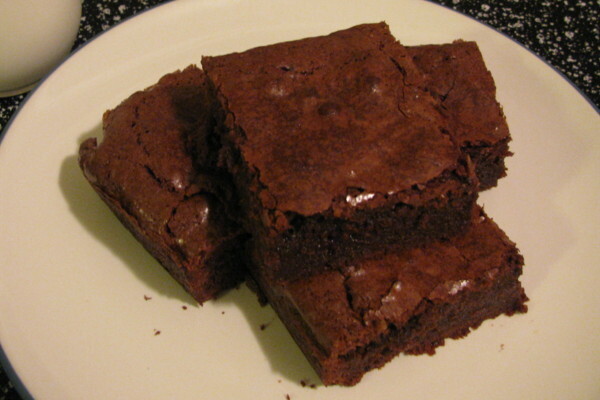 This is a very popular brownie recipe that has been circulating among many blogs. And it is amazing! The Baked brownie originates from Baked Bakery in Red Hook, Brooklyn where they have dark chocolate brownies, spicy brownies, salty brownies and so many more unique flavors. This recipe produces a brownie that’s fudgy and soft, and decadently rich. It even has the wonderful crackly top that makes brownies that much better. I don’t know if I would say it’s the perfect brownie, because really, what is the prefect brownie… but it’s really close. 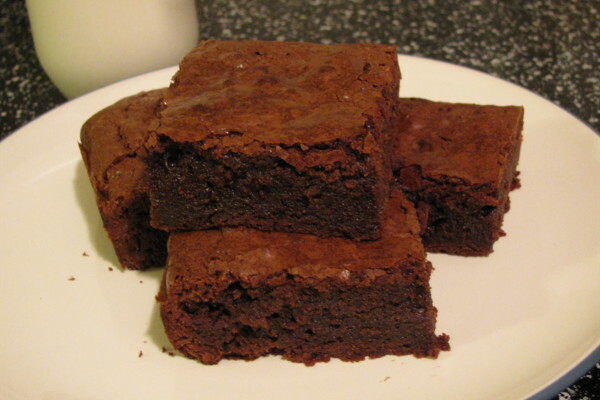 This will definitely be my go-to recipe when I want fudgy, rich brownies. The recipe calls for dark chocolate to be used, but I only had 3 ounces, so I substituted the rest with semi-sweet chocolate. Personally, I think that worked out for the best, because my friends aren’t huge fans of dark chocolate. No matter what chocolate combination you choose, the chocolate flavor will be super intense and delicious, and the little bit of coffee helps even more to bring out the chocolate flavor. So go ahead and try them, and enjoy the chocolate bliss! Put the chocolate, butter and instant coffee in a large bowl and set it over a saucepan of simmering water, stirring occasionally, until the chocolate and butter are completely melted and smooth. Turn off the heat, but keep the bowl over the water and add the sugars. Whisk until completely combined, then remove the bowl from the pan. Let cool until the mixture is room temperature.